As tourism stakeholders feel the financial squeeze of low visitor arrivals and amidst complaints about poor air access to Dominica, Tourism Minister Robert Tonge has assured that meaningful improvements are underway. Tonge disclosed that, effective June 1, LIAT's flight schedule to Dominica will be restored to almost what it was before Tropical Storm Erika. "We had been complaining to LIAT…we have an Air Access Committee responsible for working on access and…we had a meeting with LIAT recently and, as of June 1, the schedule will be back to 90 percent of what it was before [TS Erika]," Tonge said. He noted that Dominica's tourism sector suffered in the 2015-2016 season because information about damage caused by TS Erika spread internationally, which deterred visitors. Also, the storm severely damaged the island's main airport causing its closure. This, along with LIAT's inadequate flight schedule, had a profound negative impact on tourism last season, he said. 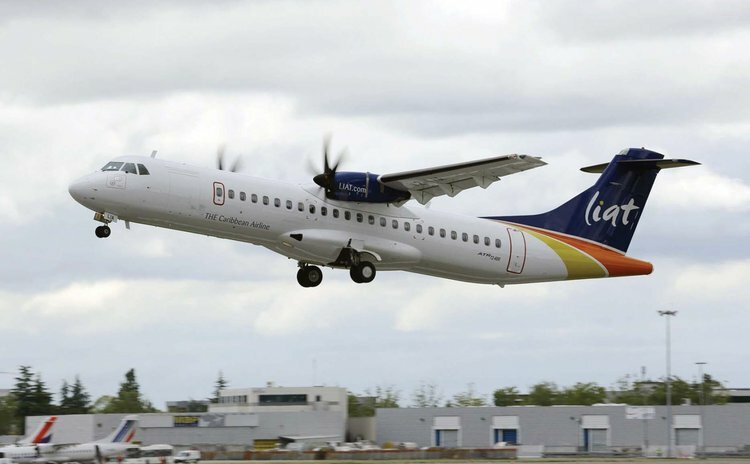 However, apart from increasing flights to Dominica from June, LIAT will add another aircraft to its fleet in September, which would make even more flights possible, Tonge said. "We are also working with other airlines to improve the access to Dominica," he added. These include TIA2000, which is examining the feasibility of a Barbados/St Lucia/Dominica route. TIA2000 coming on board would significantly reduce the time and cost of traveling to Dominica, the minister said, which would also be facilitated by new convenient flight links with Air Antilles. Tonge said Norwegian Airlines (NA)started flights to the French Caribbean last year with excellent rates, but connections to Dominica on LIAT were difficult, requiring an eight-hour layover. "We have been in negotiations with Air Antilles…effective December, they will have [NA] flights to the French islands. . . [with] the option of either a ferry or a flight . . . about 15 to 20 minutes to Dominica," he said. "We are feverishly working to improve on the access…" Tonge declared, pointing out that there are ongoing negotiations with other airlines. Further, he noted that Dominica will host an air access conference in June for key players in the market to interact about investment opportunities here. Tonge said there are also plans to buy a system to allow smaller airlines to be accessed using the Global Distribution System (GDS), which links travel-related services worldwide. "We'll be paying to ensure those small companies appear on those systems, which will improve the ability of persons to book to come to Dominica and give them a lot more options," Tonge said. This will put Hummingbird Airline and ferry services on the GDS-- a major boost because Dominica may be losing up to 20% of available business through lack of GDS visibility.